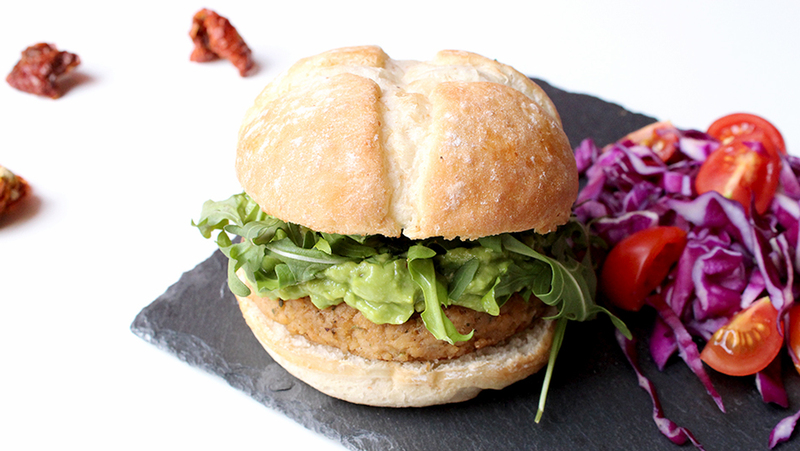 I don’t want to exaggerate, but this is the best textured soy burger ever! 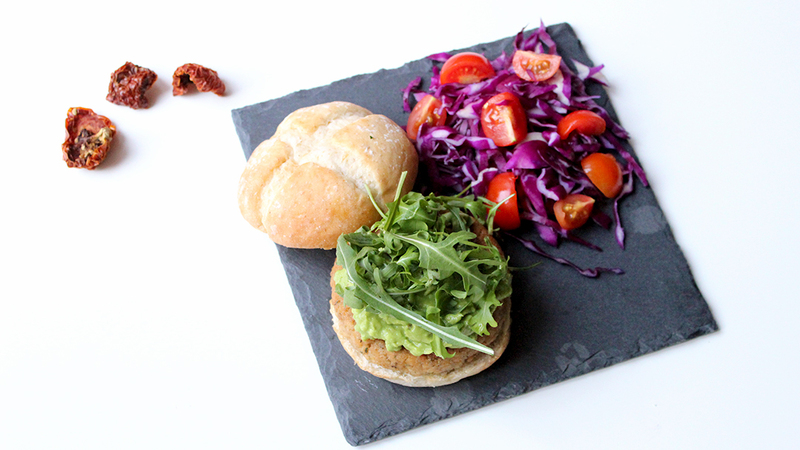 Seriously, I tried a couple of ways of making a textured soy burger and definitely this is the perfect recipe. 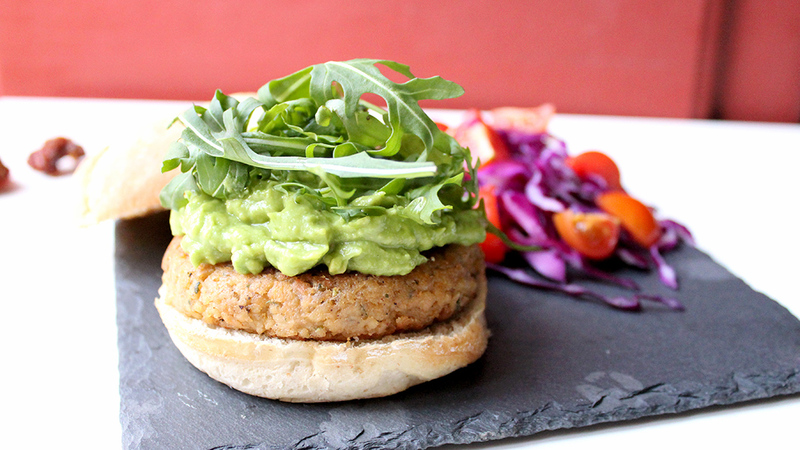 This veggie burger is so tasty it will melt in your mouth!! Furthermore, I confess I normally eat veggie burgers without bread, I mean, not as a burger, but as part of a dish with a salad for example, because they are a little dry to my taste. So if I like (and love) this one is because it’s really good. Even if you aren’t a vegan or you weren’t looking for a veggie burger, I suggest trying this, I promise you will be pleasantly surprised. My secret (not a really secret from now…) is adding nutmeg, it makes it extremely delightful. 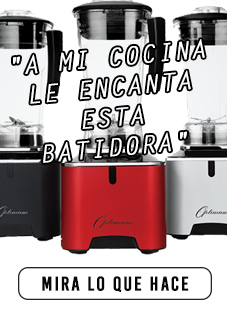 And if you also prepare the avocado sauce, your day will be made! Sauce: 1/4 avocado, 1 tbsp lemon juice, salt, dried tomatoes and (optional) a little of cayenne pepper. Boil the water and remove from the heat. Place the textured soy in a bowl and add the boiled water all over, stir and set aside. Drain the water (squeeze out the extra water by hand, just a little, do not let it completely dried). Add all the dressings and bread crumbs and stir until all the ingredients are well combined. Make two similar parts and shape the burgers. In a frying pan set a little olive oil (about 1 tbsp) to medium heat and cook the burgers. 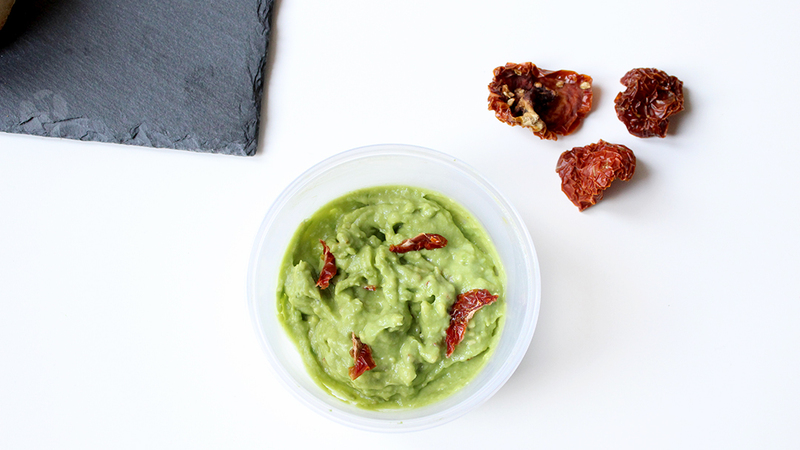 Sauce: mash the avocado, add lemon, salt, dried tomatoes and (optional) a little of cayenne pepper. Place all the elements together and that’s it!